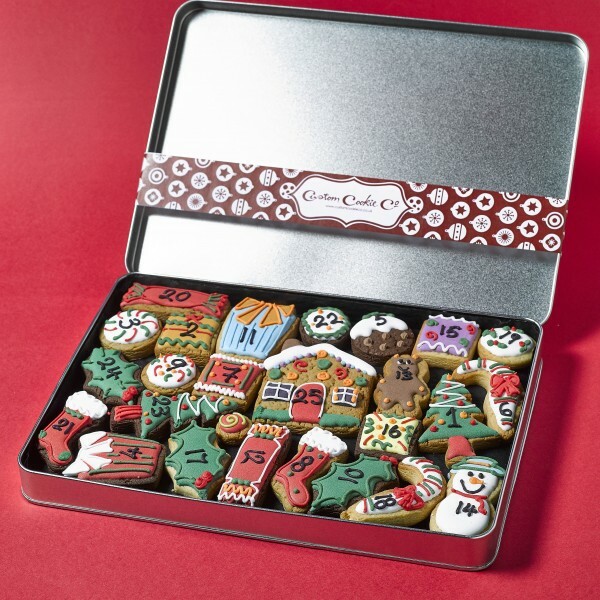 These hand decorated festive advent cookies are presented in a premium gift tin. Each cookie is numbered 1 to 25 so you can munch your way all the way to Christmas Day. a) Chocolate Brownie - cakey texture, rich chocolately taste. b) Real vanilla (made with Bourbon Vanilla Extract) - semi soft with the flavour of natural Vanilla c) Ginger - soft & cakey with a ginger kick. Gift orders are generally a mixture of all 3 flavours (unless otherwise specified or unless the order is a single cookie) Wedding or event cookies are made in your choice of flavour or flavours.